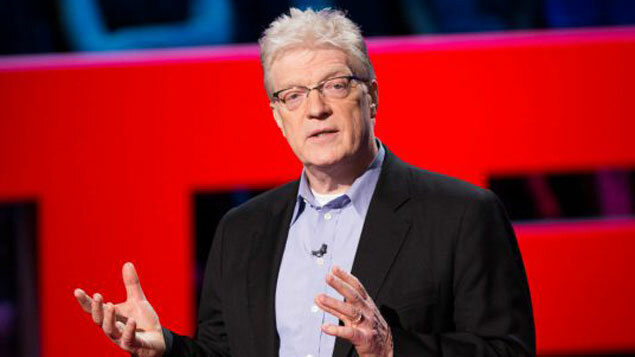 Sir Ken Robinson will identify what drives innovative organisations ahead. Sir Ken Robinson, creativity expert and top-ranked TED talk speaker, will open London’s HR Tech World conference next week with a keynote on how to unleash innovation. The two-day event, which takes place at London’s ExCel exhibition centre on 21 and 22 March 2017, takes the theme of “The Future of Work” and will also feature thought-provoking sessions with business leaders such as Baroness Karren Brady and leading global economist Dr Daniel Thornily. HR Tech World London takes place at ExCel London on 21 and 22 March. Purchase tickets here. This is HR Tech World’s third year at ExCel London – last year’s event saw decision-makers from more than 120 countries visit the show for its inspirational speakers and a buyers’ marketplace showcasing HR technology across multiple disciplines including learning, reward, wellbeing, and recruitment. In his opening presentation, Sir Ken will identify three myths about innovation that hold many organisations back, and the basic practices that drive innovative companies ahead. He will present a three-tier strategy to generate “systemic innovation”, and identify the traits we need to build in leaders to make this happen. Sir Ken is best known for his controversial views on public education – his TED (technology, entertainment, design) talk “Do schools kill creativity?” has been been viewed more than 43 million times. With the world of work changing at a rapid rate, Patrick Petitti, co-founder and CEO of Catalant, will discuss how HR can get to grips with the on-demand economy. He will also ask: what are the societal and economic implications we can expect as the workforce becomes predominantly freelance? Dr Thornily, who was a senior vice president at The Economist Group for 23 years and is a specialist on global business trends, will explore the implications of Brexit for HR – what triggering Article 50 will mean for business strategy, employment trends and immigration. One of the most-anticipated elements of any HR Tech show is the disruptHR forum, a competition for entrepreneurs in HR technology who are developing the tools we’ll use in years to come. This year’s finalists include start-ups that use psychological assessments to reduce employee turnover, an application that can predict who will apply to a job ad based on the language used, and an open-question feedback tool. As well as the competition, there will be a lively discussion forum, where the line-up will consider topics ranging from the impact of Brexit and Trump on how people interact online, to new trends in talent acquisition technology. Previous HR Tech World congresses have launched research into HR’s adoption of and investment in technology – at October’s event in Paris, conference organiser HRN and HR tech analyst Fosway Group revealed that profitability was the biggest overall driver for investment in HR technology, closely followed by improving business agility and improving customer service.